Flowers are the most romantic piece of the jigsaw when it comes to occasions. We see flowers almost everywhere from engagement parties, wedding to funerals. Be it a happy event or a sad event, flowers are the only way to express the feelings of the occasion. However, finding the best flowers for the occasion in different months is not as easy as it sounds. While some may think that visiting a local florist and asking for the flowers will drive your requirements, but that’s not the case. But, there are certainly some local florist shops that know their jobs and will amaze you with stunning month flowers. Make sure that the local shop owner is well-aware of the flowers in the shop and has a good understanding of managing events. You can take a look at their portfolio and check if their services cater to your needs. You will sooner find if the owner or the employees have a good knowledge of the seasonal flowers. As it is known that not many flowers bloom throughout the year, so it is understandable if they acknowledge that they are unable to provide with a certain type of flowers for your occasion. The local florist shops are quite a connoisseur of flowers and you can verify it with reviews on the internet by various clients. Check on the internet for reviews to find the best service provider in your area. Flowers are not very expensive and therefore, it will suit your budget. However, making a garland or a flower showpiece totally depends on the skills of the employees. So, you need to check if the florists can create the design you need. Lastly, you should look for convenience. While many florists provide logistics and convenience, there might be some florists who will ask you for convenience charges for loading, transporting, and unloading. 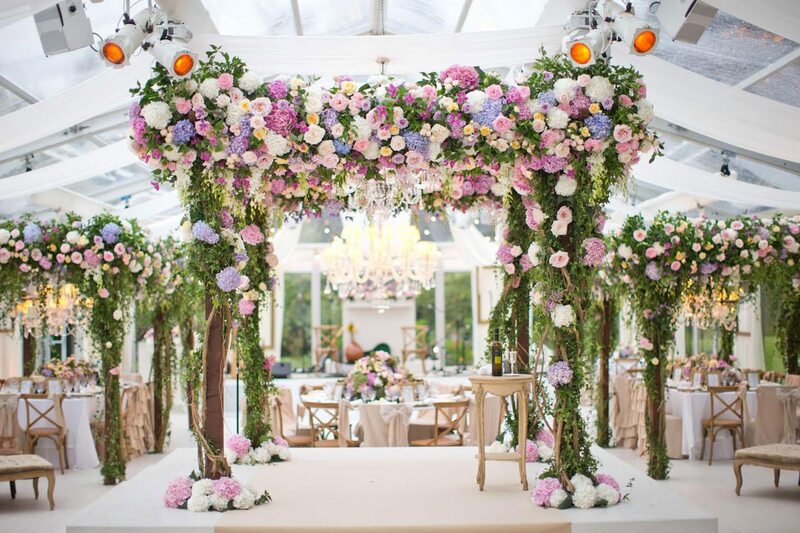 These are some of the tips that you should definitely look out for in a local florist shop when you want to decorate your event hall with flowers and garlands. Moreover, you can also find some event management firms who have contracts with a florist to design your entrance gate and hall with flowers. So, you can also look forward to contacting them which will certainly reduce your expenses for any event.